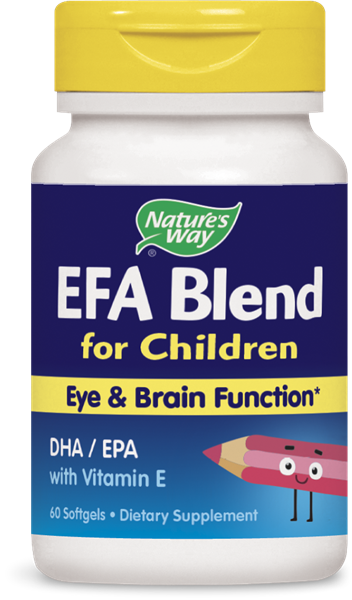 EFA Blend for Children / 60 Softgels - Nature's Way®. Adults/children 5 years of age and older, take 2 softgels twice daily. For intensive use, take 2 softgels four times daily. If pregnant, nursing or taking any medications, consult a healthcare professional before use. Contains fish (sardine and anchovy).